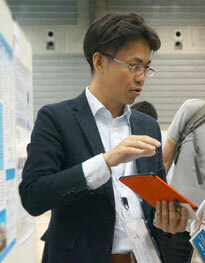 Historically, Japanese occupational therapist had “imported” occupation-based models or tools from foreign countries. However, we believe our unique and/or advanced Japanese models or tools and practice to the other countries is worth “exporting ” For Japanese occupational therapists, please do not be afraid to share your Japanese occupation-based practice. And for the foreign occupational therapists, please import the Japanese occupation-based practice has been progressed greatly owing to in the advanced health care system and the highest elderly society. Please join us and learn about our occupation-based practice. We hope to make this an opportunity to gain an inspiration and ideas of our practice through this international congress. Moreover, our next goal is to accumulate evidence for the occupation-based practice. For the fifth Japanese/International congress of Clinical Occupational Therapy, we invite Dr. Tickle-Degnen from Tufts University, to share her knowledge on how to build the evidence of occupation-based practice. Dr. Tickle-Degnen is an expert at providing “scientific” evidence for the “artistic” aspect of occupational therapy, such as self-management, self-initiative, and client-centered therapy. Also, we plan to special symposium or workshop regarding occupation-based practice. We believe this congress will encourage all of our members to the next step of your practice and research. 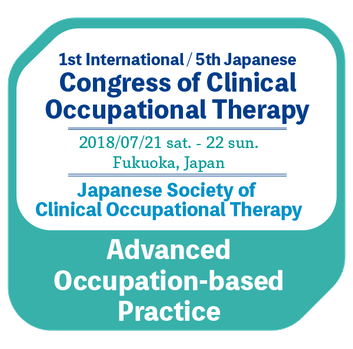 The Japanese Society of Clinical Occupational Therapy was established 5 years ago with the mission to share and facilitate the occupation-based practice in Japan. Since then, we have been receiving approvals from many occupational therapists, and the medical situation had helped us to achieve our above missions. Now, as we reach our fifth anniversary, we plan to share the new goal to hold this international congress. We truly believe that it is valuable to discuss with occupational therapists from different country in order to reconsider the stereotype or common sense and to elaborate new idea.